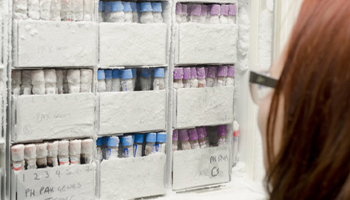 The Sheffield Biorepository is Human Tissue Authority (HTA) licensed and provides a fully compliant, safe and secure storage facility for all kinds of human samples. Primarily, these include blood (buffy coat, serum, and plasma), saliva, cerebrospinal and other fluids, urine, and whole tissue sections. The storage facility houses inventory at temperatures ranging from cold storage at 4°C to -20°C, several -80°C freezer banks and liquid nitrogen large storage tanks, as well as, room temperature slide cataloguing and formalin fixed samples. 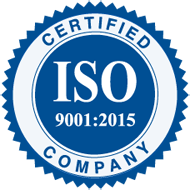 Their primary mission is to deliver high quality sample storage services with samples maintained as per the standard regulatory guidelines. The Sheffield Biorepository stores more than 300,000 human tissue samples received from researchers. These samples are stored for two purposes: firstly, for use in future research projects, and secondly, before a research project has obtained ethical approval. Maintaining the biographic information for several samples each day—through every sample's life cycle—using spreadsheets was becoming error-prone. Meticulous record keeping is essential for each and every stored sample in order to serve customer demands on time. The data should be kept confidential per university and regulatory compliance standards. A cost-effective biorepository data management software should be identified to manage laboratory operations. To meet the above requirements they sought a LIMS implementation to readily identify and quickly trace samples in the biorepository. In recent times, cloud technology has emerged as a viable alternative to on-premise solutions. The Sheffield Biorepository analyzed the benefits of cloud based software against on-site solutions to find the best application that could cater for their needs. Evidently, with cloud software characteristics such as no new infrastructure requirement, minimal product maintenance, remote disaster recovery, anytime-anywhere access and extensive scalability, the Sheffield Biorepository comprehended that a cloud solution would be ideal and cost-effective. After thorough consideration, they decided to look for a cloud based LIMS with the required functionality, rather than a more traditional server based LIMS system. While attending a conference in London, Steven Haynes, discovered CloudLIMS and its laboratory management software. Steven then contacted the CloudLIMS team and undertook a full product demo. After thorough evaluation of CloudLIMS and other competitive software, Sheffield Biorepository enlisted CloudLIMS for automating their biobanking data management operations. The CloudLIMS team presented a detailed product demonstration of CloudLIMS to the Sheffield Biorepository. In this session, the team explained how CloudLIMS can readily accommodate any lab-specific data with the help of its in-built configuration module and automatic mapping of headers. They illustrated the configuration of a sample data form and imported the sample data file seamlessly. They also put forward the advanced product functionality, such as, Subject, Test, Request, Package & Shipment, Inventory and Study management modules. Provisions for the maintenance of appropriate and secure systems to ensure confidentiality and privacy in recording keeping, storage and release of data was a requisite at Sheffield Biorepository. CloudLIMS could address this concern with its security measures taken at the server level such as 256 bit (HTTPS protocol) AES encryption. Sheffield Biorepository required all personal information of the donors to be stored, handled and samples disposed of in accordance with The Data Protection Act (1998), the University of Sheffield and STHFT Data Protection Policies. At the application level, the Subject module in CloudLIMS outlined how the complete donor information including clinical diagnosis can be securely recorded with permission settings for user-group and user-role based access in their biorepository. Besides this, being cloud based, CloudLIMS ensured data integrity with its disaster recovery plans, which otherwise is impossible with on-premise solutions. With inherent advanced search tools, using multiple filters across various modules, CloudLIMS proved to be the perfect coding and record system that facilitated the traceability of human samples stored at the Sheffield Biorepository. “CloudLIMS has set a feasible environment for our staff to capture and maintain our biorepository records in a safe and flexible electronic canvas”, says Steven. Having CloudLIMS, delivered as SaaS, the University of Sheffield was able to avoid huge investments in IT infrastructure and product maintenance. They are also poised to reap additional benefits from CloudLIMS with its complimentary services such as product configuration, training and technical support. Using the program's universal uploader, Sheffield Biorepository has imported its legacy data with up to 230,000 samples so far uploaded. This was achieved in a 6 month time frame, whereas a previous database implementation had taken over a year to partially upload 60,000 samples before being retired. CloudLIMS has remarkably reduced their sample turnaround times and maintaining records for sample logistics & auditing is no longer cumbersome. Scheduling and reporting the daily, weekly, monthly or annual maintenance alerts for the storage facility is now much easier and hassle-free with the Lab Inventory module. 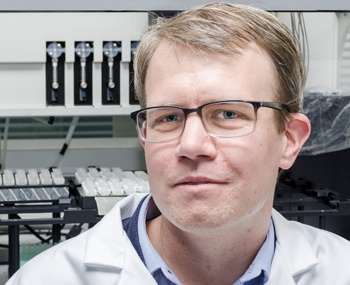 Further, CloudLIMS has recently provided them with additional resources to manage their scaled-up biorepository operations, without increasing IT costs. Currently, the biorepository is undertaking a major project to centralize storage of research tissue samples across Sheffield’s Medical School. This Liquid Nitrogen service will fully utilize CloudLIMS for sample tracking, and the cloud nature will allow their chief technician, Ella Morton, to delegate sample retrieval to designated technicians by relying on the advanced search capabilities. 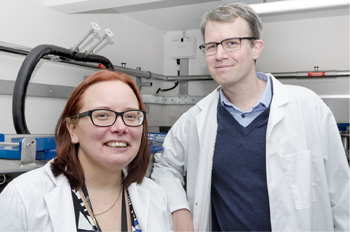 Overall with the implementation, Sheffield Biorepository looks forward facilitating faculty cost savings, reducing environmental impact through increased efficiency and providing vastly improved fidelity for sample storage data.